The recent emergence of new taxes and more stringent regulations on short-term rentals in New York, Austin, San Francisco, Seal Beach, and Colorado Falls is likely a prelude to more regulations and taxations in other cities across the country. Internet sites such as Airbnb.com and HomeAway.com have created a vibrant and growing ecosystem for the short-term rental industry that, before 2008, consisted only of mom-and-pop regional players, local travel agencies, and real estate offices. The recent emergence of new taxes and more stringent regulations on short-term rentals in New York, Austin, San Francisco, Seal Beach, and Colorado Falls is likely a prelude to more regulations and taxation in other cities across the country. The offline worlds assimilation of Internet technology is effecting changes in nearly every industry, not the least of which is real estate. The aggregation of thousands of properties on these searchable sites has opened the doors wide open to both travelers and property owners eager to connect. For an idea of just how rapidly demand for short-term rentals has grown, consider that, according to an Airbnb press release, in 2008, a night of travel was booked on Airbnb once per day, and now, in 2012, a night is booked every two seconds. However, once the new business activity begins to threaten traditional players in the established space, it is sure to be regulated. The hotel industry is one such adversary that is now in conflict with the rapid growth of short-term rentals. Property and hotel owners faced with the popularity of Airbnb and HomeAway inventory are looking to the government for a response. The regulation of rentals of less than 30 days, commonly referred to as vacation rentals, has been, until recently, largely uncharted waters. Local governments are putting resources to work and regulating the industry in differing ways, which offers a glimpse of what may become a trend towards more regulation and taxation in other cities across the country. City government attempts to formulate effective short-term regulation are currently in play in New York City, Austin, San Francisco, Seal Beach, CA, and Columbia Falls, MO. In New York City, short-term rentals, labeled illegal hotels, have been officially illegalized since the spring of 2011. In San Francisco, an old law (enacted in 1981) prohibiting rentals of less than 30 days in apartment buildings with four or more units has been expanded to enable residents to seek the help of non-profit organizations and to include an administrative hearing process for the Department of Building Inspection to evaluate complaints. In Austin, the city has officially begun treating short-term rentals as hotels, subjecting them to hotel taxes and a permit requirement, which went into effect October 1st of this year. In Seal Beach, the City Council will take a final vote on November 13 on an ordinance banning any future vacation rentals. And, the city of Columbia Falls unanimously approved an administrative conditional-use permit system to keep track of and reduce the number of short-term rentals in residential areas that went into effect in August of this year. Opponents of short-term rentals in all five cities cite concerns for health and safety and protection of the local community in their defense of official regulation. 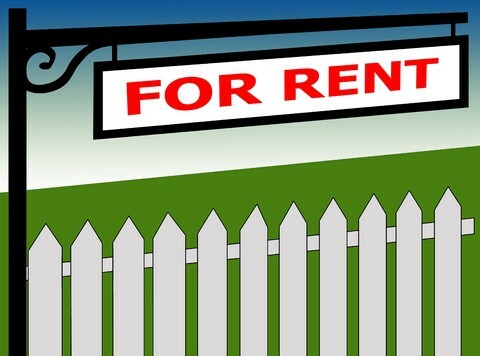 Many owners of such rentals, however, have paid no heed to the new regulations. In response to property owners ignoring the law, some city governments are taking further action: New York Citys City Council passed a bill earlier this year that increased the maximum fine against illegal hotels from $2,400 to $25,000. President of San Franciscos Board of Supervisors David Chiu is working on possible proposals to regulate online corporate hotelization and shared housing services like Airbnb. And in Austin, the City Council was forced to go back and amend the newly enacted ordinance with reduced application fees after the current regulations proved ineffective ” all serving as confirmation that even the most stringent of regulations, including prohibition, are not enough to dissuade residents and landlords from leasing their properties for periods of less than 30 days, as doing so has proven to be a profitable practice, and for some a financial necessity. What an effective regulation on short-term rentals would look like is still to be determined. It seems there is no such thing as a growing industry without an equal helping of regulation. 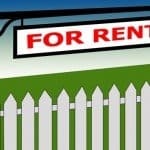 The emergence of new taxes and more stringent regulations on short-term rentals in the communities listed above is likely a prelude to more regulations and taxation in other cities across the country, which may soon include Miami, Washington D.C., Dallas, Chicago, and a city near you. More information on this subject can be found at Metrosetter Wire, a blog for the corporate housing industry.